These are no ordinary roasted root vegetables. 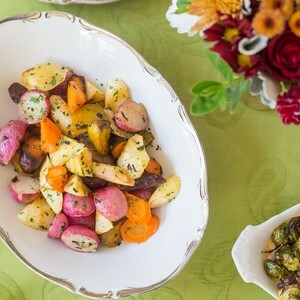 These root vegetables are roasted with sage and marjoram, giving them an unmistakably fall taste while still allowing their flavors to shine through. After all, the holidays are for getting back to our roots, right?